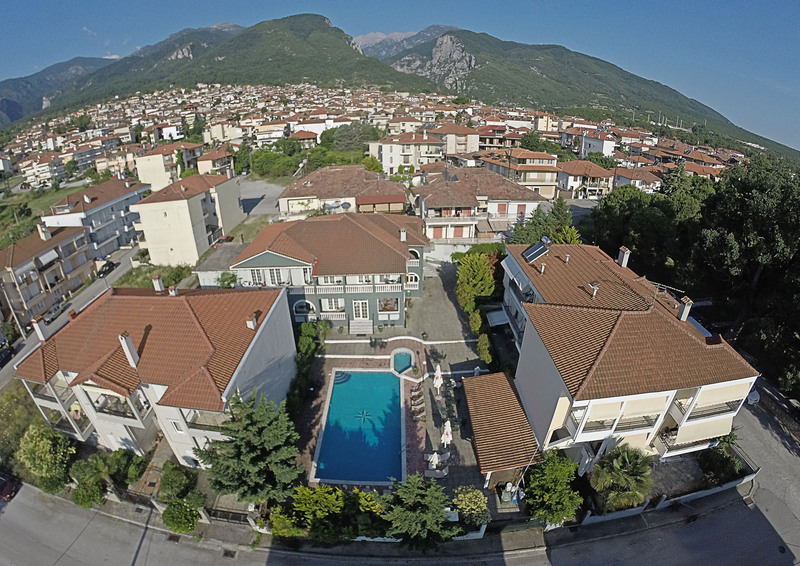 Villa Drosos Hotel offers free Wi-Fi in all areas and rooms. All rooms come with a private balcony, bath or shower, flat-screen TV, fridge and individually regulated air conditioning and heating. The breakfast buffet offers a wide selection of local homemade specialties and fresh local organic produce. The inviting outdoor freshwater pool, in addition to the poolside snack bar, offers sun loungers and parasols. Enjoy a refreshing swim at the beach which is only a ten-minute drive away. Having Litochoro as a starting point also means that a visit by car to the famous Meteora Monasteries, to the lively city of Thessaloniki and the ancient sites of Dion and Vergina is a daily excursion that takes only a matter of some hours. You will come as friend; take the secret of Mount Olympus with you.